Featuring short dramas and musical performances from the puppets, the event is open to all children aged 0-11, including those with no church connections. 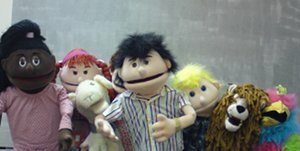 Topping the bill at Wotton Baptist Church are All Fingers and Thumbs Puppets, from 3C Community Church in Cam. Wotton Baptist Church children’s musician Peter Greenwood will also lead the youngsters in a number of kids’ songs. A Puppet Extravaganza takes place on Saturday 24th September, 4.30pm-6.00pm. Admission is free. The organisation of the day has been shared between members of Wotton Baptist Church’s children’s team and the Wotton community group of 3C Community Church.